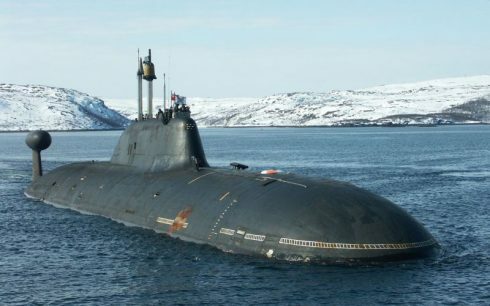 Having a couple of connections to U.S. submariners, I found this bit of Akula-class Soviet Navy submarine history interesting and a great read. In late 1984, when the first Akula submarine of the Soviet Navy put to sea, it immediately changed the way anti-submarine warfare would be conducted. With the Akula’s arrival the American submarine fleet would no longer enjoy the dramatic undersea advantages they had possessed since the end of the World War II. The Akula, which is Russian for shark, stunned NATO with its high-level of stealth, especially compared to any Soviet submarine before it. That’s because in the battle for undersea supremacy, silence is the key to survival and victory. Prior to the Akula, the Soviets had already been making huge strides, making their submarines faster, deeper diving, and more heavily armed than American submarines. One submarine, the lone Papa SSGN, a nuclear-powered guided-missile sub, is still the world’s fastest after reaching 44.7 knots (around 51 mph) in 1970.